A few months ago, we were invited to go on a mini college reunion trip to Lake Anna in Virginia. We had an awesome time with friends that have not gotten together like that in quite a while. Boats, laughs, some good music and even better people. During the planning process, I had reached out to one of my friends who was getting everything together for the entire trip, to offer up cooking for everyone on Saturday night. This was well received. Friends reminded me of a large meal for probably 20 guys that I had cooked during a bachelor party… honestly I wasn’t sure if that would stick in the minds of a bunch of dudes who were doing “bachelor party things”… but it did and it made me feel awesome. I remember that meal like it was yesterday. 20 guys at a huge house in Myrtle Beach. This house just happened to have a giant walk in cooler, 8 burner restaurant style top, ice maker, flat top and plenty of room to work. With the help of the guys, I executed a lot of my brother Jeff’s recipes. Druken clams, ribs, charred vegetables, London Broils and probably a few other things. It was awesome! Flash back to the more recent getaway. While prepping, my buddy Mike said something to me that stuck in my mind. “Being the Grill Man is a tough job Zerb.” I asked Mike what made him feel that way? He said ” I don’t know… its just a lot of pressure to get everything right… everybody is hungry, it if it doesn’t come out right it can really slow the whole party down”. I guess I never really looked at it that way, but in a way he is right. Being the “Grill Man” is a tough job, but somebody’s gotta do it. Otherwise you will be stuck eating cold sandwiches or even worse yet penne vodka, chicken francese and mashed potatoes on a 90 degree summer day. Here are some tips, and a few recipes that may help you work up the courage to be the “Grill Man” at your next party. Tip 1: Skip the Burgers and Dogs or at least try some of these badboys thanks Food Network. Tip 2: Make some things that include your guests in the prep. 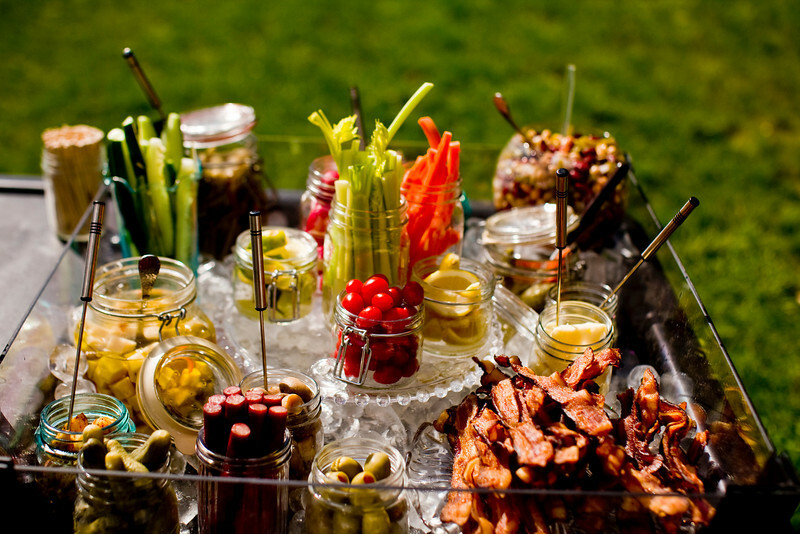 Like this awesome Bloody Mary Bar. This will have you doing minimal work and your friends can get bombed while you work on something else! Literally the only thing you cooked for this was bacon… and who does not like cooking bacon. Tip 3: Make some things that you can literally slice on a board, squeeze some lemon on and call it a day. Here is my own creation that I used recently at a party and it was a huge hit. – Grill Shrimp (nice big delicious shrimp… not crappy frozen shrimp). Let it cool completely. Cut it up. Tip 4: Don’t make it harder than it has to be. High quality ingredients in a simple format always do great. If vegetables look great, cut up a bunch of those. If fruit looks great, cut up a bunch of it. 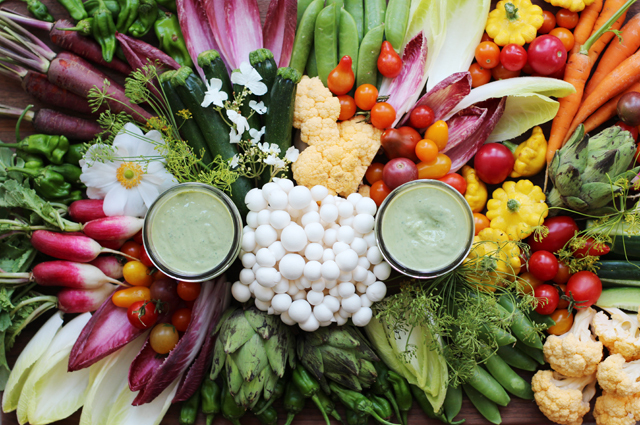 Check out this crudite, as if this doesn’t look delicious. Being the “Grill Man” is a tough job. But remember the most valuable thing you can do while having your friends or family over for a meal is involve them in the process… they will always remember it. My next post will be about some more meals that we have shared with family and friends!